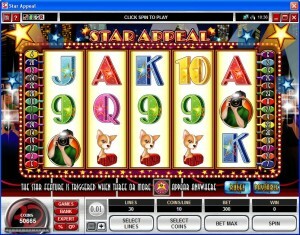 Star Appeal is one of the many slot machines which try to bring the beauty and glamour of Hollywood in front of your eyes. It’s a game that was created by the designers from Microgaming, so you already know that the odds are good that it will be an attractive slot machine. The theme is not original and the design, while very good, it’s also quite typical for a game that approaches this topic. 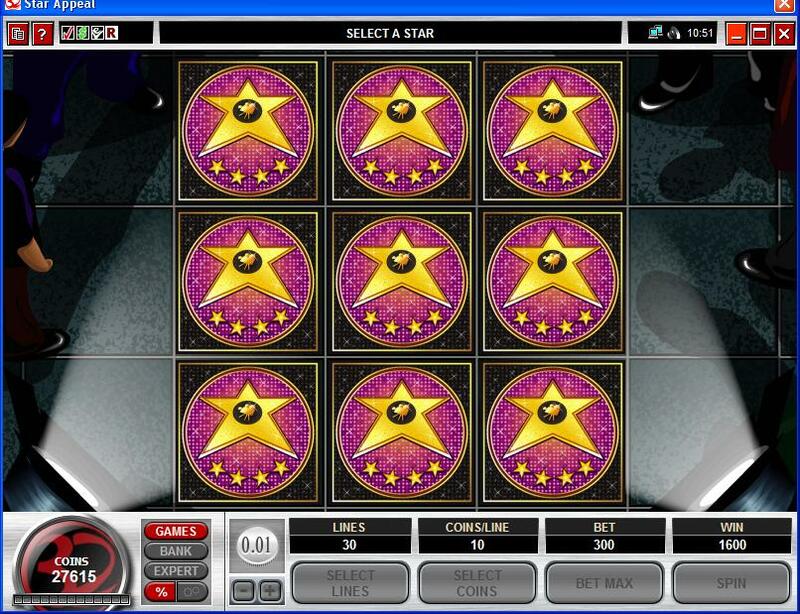 Still, if you dream about being a star yourself, a game like Star Appeal will be a fun choice. 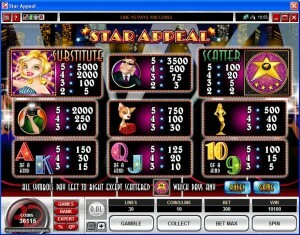 You’re getting 5 reels in Star Appeal, the game offering 30 lines on them. There are bonus games which will bring you free spins with multipliers, plus you will encounter scatters and wilds along the way. Top payouts will put up to $12,500 in your bank account. 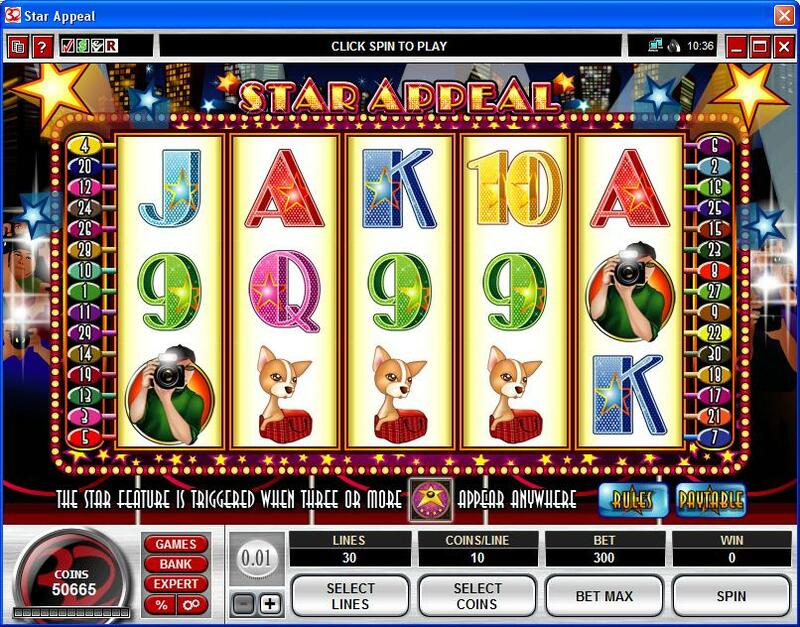 The game gives you wild symbols, scatters, a bonus game and free spins with multipliers. They’re all common features, but that doesn’t make them any less valuable. First, we have the Blonde Starlet, the wild of the game and an appropriate choice for a symbol which pays the biggest prizes available. This being the wild, it will pay you both when it creates its own combinations and when it helps with the formation of a combo which normally wouldn’t have been possible. If the wild lands in a position from which it can be of help, it will substitute for whatever symbol is needed there. When wilds form up a combo, from left to right on the same line, they pay up to 5,000x. The Star scatter is another part of the game you will find important. It appears in random positions, yet it manages to create combinations and offers prizes which multiply the triggering bet by 2x to 100x (for two to five symbols in random locations on the reels). 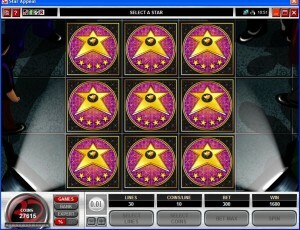 The slot’s bonus feature gets triggered whenever 3 or more Star scatters are present. This will trigger a bonus game where you have 9 stars to choose from. You get an initial 10 free spins, with another 15 being available through the bonus game choice. All free spins have a 2x multiplier for their wins. While free spins are used, the Agent symbols become Starlet wilds instead, so the odds of a combo forming are considerably increased. The betting range goes from $0.01 to $75, while the line bet can reach a top value of $2.50. You can use a maximum of 10 coins per line, with denominations that will only go up to $0.25. Since the game offers top payouts of 5,000x, you can expect up to 50,000 coins and a cash value of $12,500. Free spins come with 2x multipliers, so with enough luck on your side you could do even better. As I’ve said, the theme is very typical for a Hollywood themed slot machine. You have the paparazzi in the background image, at a red carpet event, while the reels have lights and small stars all around them. The symbols will give you a mix of images which are themed and some playing cards which have different colors and stars. The design quality is very good, so chances are that you will enjoy it, but it’s not original. Symbols: Blonde Starlet (5,000x, wild), Star (100x the bet, scatter), Agent (3,500x), Paparazzi (2,000x), Small Dog (750x), Movie Award (500x), Ace (150x), King (150x), Queen (125x), Jack (125x), 10 (100x) and 9 (100x). Games like these are a dime a dozen, way too many offered by slot developers, probably because a lot of people love Hollywood and the spotlight. Still, it’s a decent looking game, with features that you would want to have, so it might be worth your time. 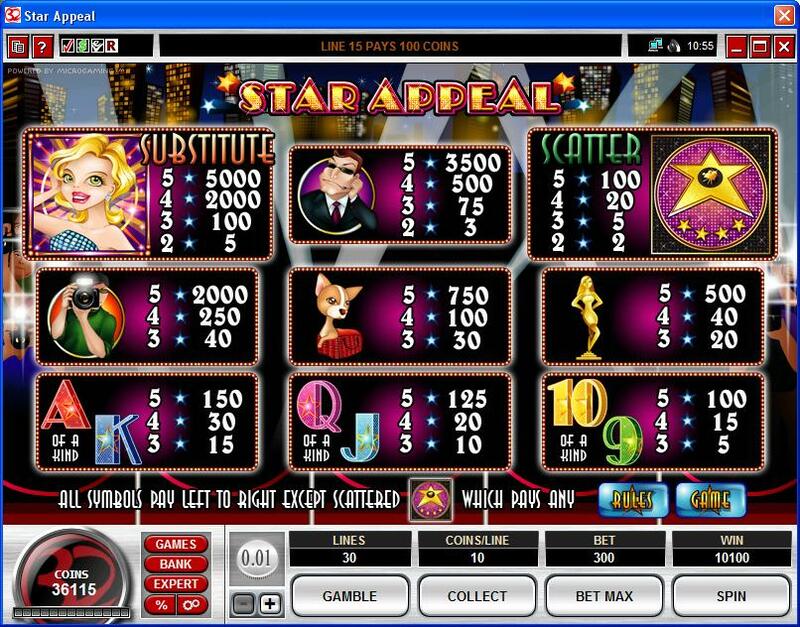 This Star Appeal slot is offered by all online casinos with Microgaming software, playable either in practice or in real money mode.